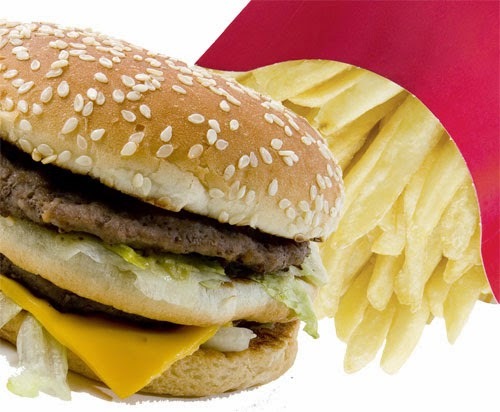 Whether you love it or hate it, chances are at some point you've eaten at McDonald's. This corporation was a major cornerstone of the building of the fast food industry and is currently one of the symbols of the exportation of American culture around the world. Perhaps what is most remarkable about the success of the franchise is how unremarkable it is. The restaurants serve burgers and french fries. Yet somehow, out of all the burger joints available, the one started by the McDonald brothers in San Bernardino, California, has gone on to serve roughly 68 million customers per day. How did this happen, and what can other business leaders learn from the company? McDonald's was first opened by the McDonald brothers in 1940. The little restaurant served burgers and placed an emphasis on quick service, putting the fast food principles developed by White Castle to work for themselves. By 1955, the restaurant became a corporation led by aggressive businessman, Ray Kroc. Kroc is credited with taking what was a successful burger joint to the popular glory it now enjoys. Kroc was known for his risk taking and lofty goals that allowed him to lead the corporation. Kroc did not allow a single detail of the burger making process to go un-analyzed. He even broke down the process of putting a patty and toppings into a bun to see if he could improve it. He ended up essentially creating an assembly line for putting together sandwiches, which lives on in McDonald's restaurants today. Kroc worked to develop teamwork within each restaurant and even constructed the customer service model that includes a smile when greeting patrons. Other businesses should put the same consideration into their own companies. This doesn't mean micromanaging the company, but rather looking for ways to improve the company from the ground up. Kroc had a passion for building his business. He believed in dreaming big while always working to improve the business. In the world of making burgers, Kroc had a vision of turning McDonald's into a major franchise, and he worked to make that happen. He was also willing to take risks, which included betting on the likelihood of customers taking to the casual, fast-food model over the common sit down and more formal dining experience. Try translating this passion into your own business. Your enthusiasm should be contagious. No one wants to support a company that doesn't have a clear vision, a plan for getting there, and a confident leader who seems capable of getting the business to these new heights. Use your industry knowledge and foresight to anticipate customer desires and needs, and show a true eagerness to encourage your entire team to work toward the shared vision. Success isn't dependent on developing something extraordinary. Sometimes, it's leaders doing extraordinary things with ordinary ideas that can make a company great. If an empire can be built out of burgers and fries, the right business prowess can offer anyone the chance to have success. Keeping Ray Kroc's mantras of paying attention to details and a passion for business in mind can help you get on the path to bringing your own company to the top. If you're looking for ways to get started growing your company vision, contact us to see how we can help you get your message out.